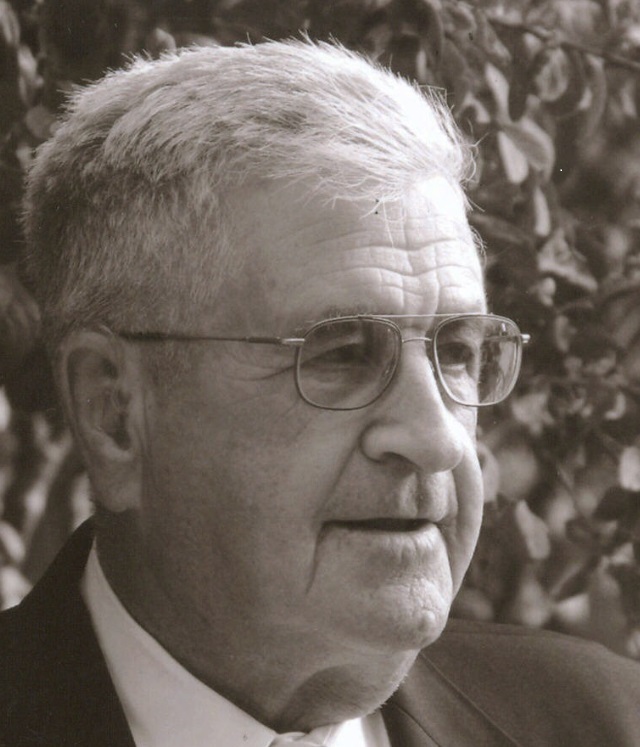 John Nicholas Olinger, 89, of Sioux Falls, passed away December 9 at the VA Hospice following a short illness. John was born May 10, 1924 in Wausa, NE, to Nick and Elizabeth (Schmit) Olinger. In April, 1945 he enlisted in the United States Army and served until 1947. After his discharge he began farming with his father until his marriage to Josephine Wortmann on September 5, 1950. They continued farming until he suffered a corn picking accident. He then began his forty plus years of being a salesman of feeder wagons and power washers to farmers and businessmen. Survivors include: Sherril (Mark) Vondra, Bridgewater, SD, Mike (Brenda) Olinger, Grapevine, TX, Janice, Kristi, and Kevin Olinger, Sioux Falls, Karen Lewis, Plano, TX, Jack Olinger, Hartford, SD, Jim (Lois) Olinger, Haslett, TX, Dan (Allison) Olinger, Carrollton, TX, Keith (Karri) Olinger, Lewisville, TX, Brian (Gen) Olinger, Irving, TX, and Chad (Mallivan) Olinger, Little Elm, TX; nineteen grandchildren include: Paul, Stacey (Schneider), and Brett Vondra, John and Heath Olinger and Deana Ousley, Nick and Tyler Mase, Amber Kelly, Luke and Megan Olinger, Adam and Ben Olinger, Andrew, Anna, Dominic, and Katherine Olinger, and Chase and Reese Olinger; eleven great-grandchildren are Kaeli, Isaac, and Alex Vondra, Caitlyn and Nathan Schneider, Nicholas and Isabella Olinger, Caden and Trista Ousley, and Jude and Jai Kelly. John was preceded in death by his wife, parents, and daughter Mary Jo. Outside activity is what John enjoyed most. His green lawn, bountiful gardens, and early snow removal from the neighborhood sidewalks were things that filled him with a sense of pride. Visitation will be Fridaythe 20th, 5 PM at Barnett-Lewis Funeral Home with a Scripture Vigil at 7 PM. Memorial Mass of Christian Burial will be Saturdaythe 21st, 11 AM at St. Mary's Church. Burial will take place at St. Mary's Catholic Cemetery in Osmond, NE.